$1 per line giving a maximum bet of $25 betting all lines. 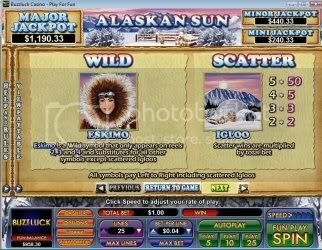 The wild symbol is the eskimo and the scatter is the igloo. 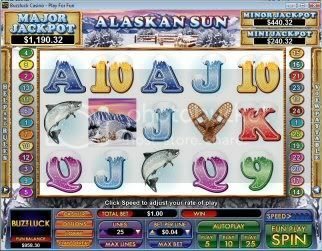 are also 3 jackpots available, the mini, minor and the major. 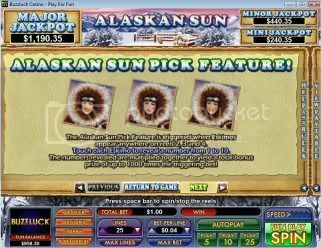 apart from the Alaskan Sun Pick Feature bonus prizes. The feature can also be retriggered. 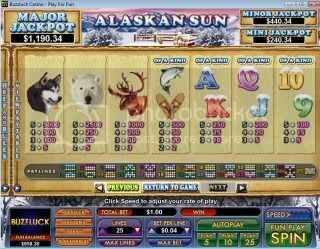 Anyone winning on this slot?